A family vacation with teenagers needs plenty of adventure to get them hooked. 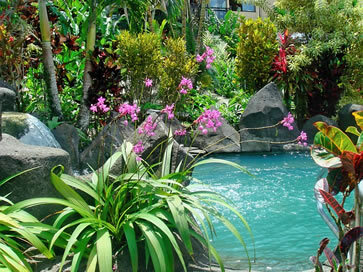 Denise Hummel finds an abundance of activities to captivate both her and her teenage sons in Costa Rica. When I chose Costa Rica for our family vacation, I did so primarily because my two boys, 13 and 15, are driven more by their testosterone levels than anything else as they dive further and further into adolescence. I know some day they�ll want to stay home with their friends or go on vacation with their buddies rather than traipse around with their dear �old� Mom, but I have some crafty ideas about how to delay the inevitable and a Costa Rican vacation was definitely one weapon in my arsenal. 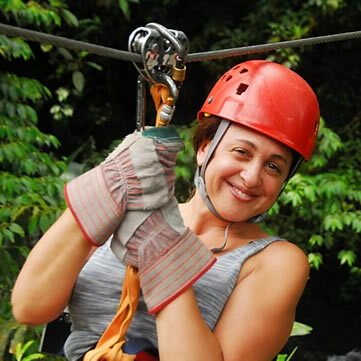 All I had to say is that we�d be ziplining through a tropical rainforest and they were on board � no questions asked. 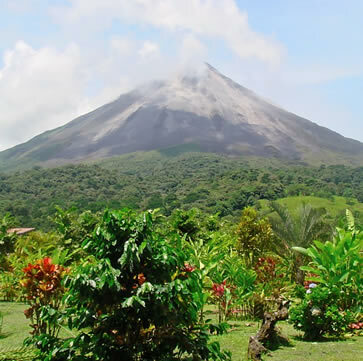 Set in lush hills overlooking the Arenal Volcano National park, the Arenal Kioro is the perfect springboard for ziplining over the rainforest canopy or spectacular hiking over Indiana Jones style bridges. A secluded hideaway deep in the rainforest, Arenas del Mar has a private beach, spa, gourmet food and a focus on sustainability and conservation. Ziplining within the canopy, ATVing and varied wildlife encounters provide the thrills.